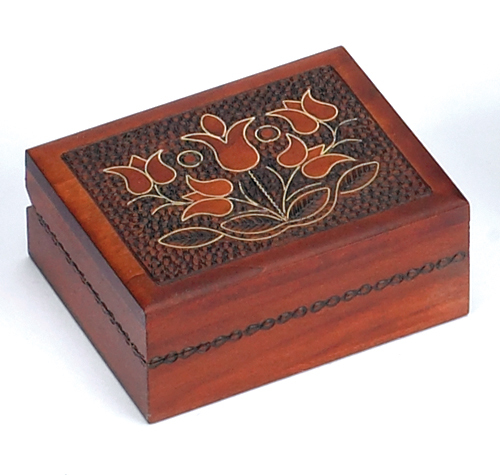 This box has a metal inlay floral design over a carved texture background. Dimensions: 3-7/8 in. x 3-1/8 in. x 1-5/8 in.